Releasing the Magic! : THE HECKMAN EQUATION... PASS IT ON! At the heart of the Cutlers' "Made in Sheffield" approach is a recognition that to be successful young people need skills, behaviours and character traits alongside knowledge and understanding and that we need to develop a curriculum entitlement that develops all of these. Interesting then that so little research has focused on the fundamental questions of what skills and character traits create successful and productive people and what are the best ways to develop and measure these things. 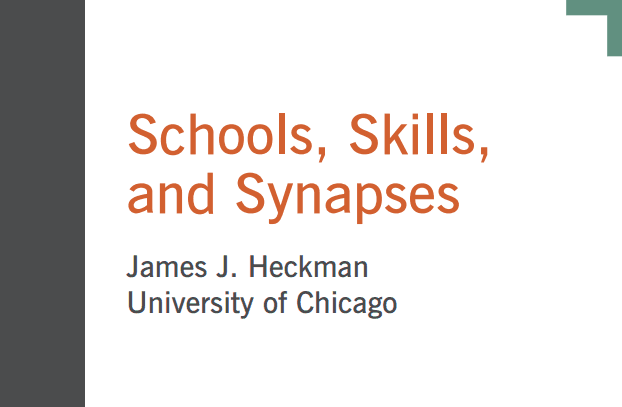 As James Heckman argues in his brilliant article on the Heckman Equation most of what we value and measure are poor predictors of success in life because they focus on only one aspect of the mix that matters - cognitive achievement - and not on the full range of skills that make a person valuable in family life, in their community and in the workforce. 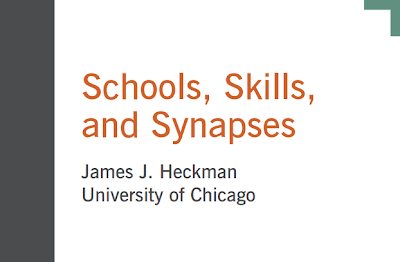 Heckman argues that there is hard evidence that character skills matter greatly and that there is widespread evidence that failing to systematically develop, measure and reward positive character traits is failing society—in schools, in families, in communities and in the workplace.